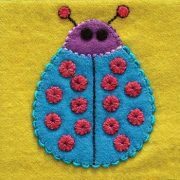 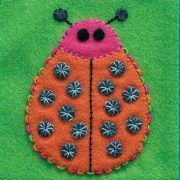 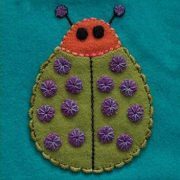 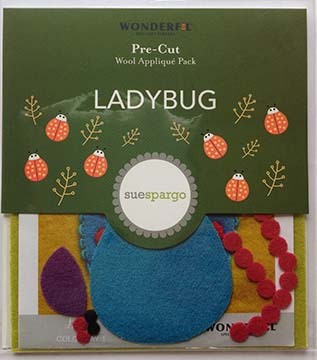 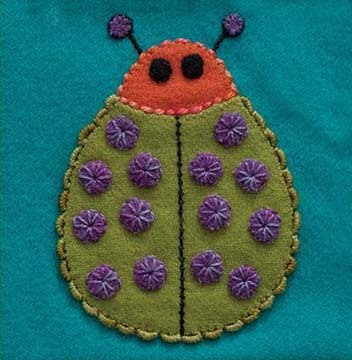 Sue Spargo Ladybug Wool Applique Kit is a simple project for those wishing to hand sew a small project for relaxation, or to stitch on the move. 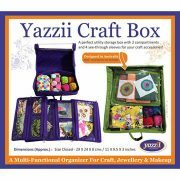 The kit is made with 100% premium grade Australian Merino Mill Dyed Wool. The luxuriously woven wool is prefelted to the perfect hand, providing a tight edge for fuss free whipstitch applique. 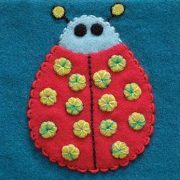 The kits are all precut and colour coordinated by Sue, and includes instructions on how to complete the project. 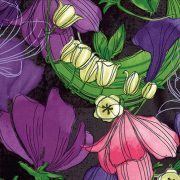 Each project comes in four colourways to accommodate different colour preferences. Stitch Cards are included in the kits with illustrations and descriptions of the stitches used to embellish the Ladybug. 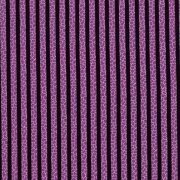 Threads and Needle Size recommendations are included on the pattern.